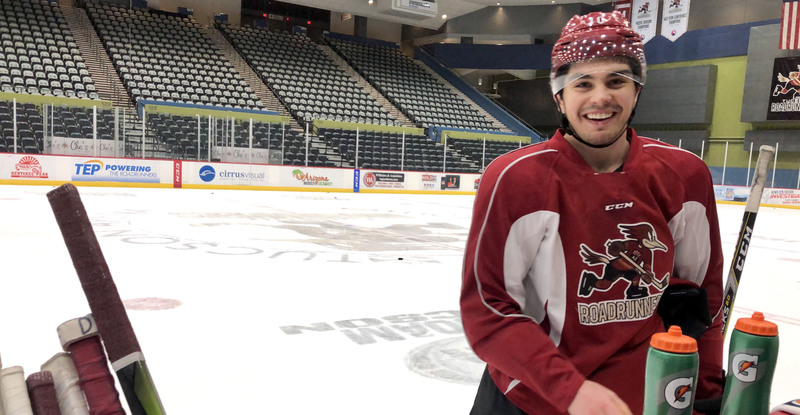 Over, back, and ahead, the Roadrunners re-assembled for their first practice following the All-Star break on Thursday and return to live action tonight. Good morning from Tucson Arena, and hello, February. Welcome the Colorado Eagles to Southern Arizona for what will be their second stop in Tucson this season. They are on the tail end of a six-game road trip, where they’ve posted a 2-2-0-0 record thus far. 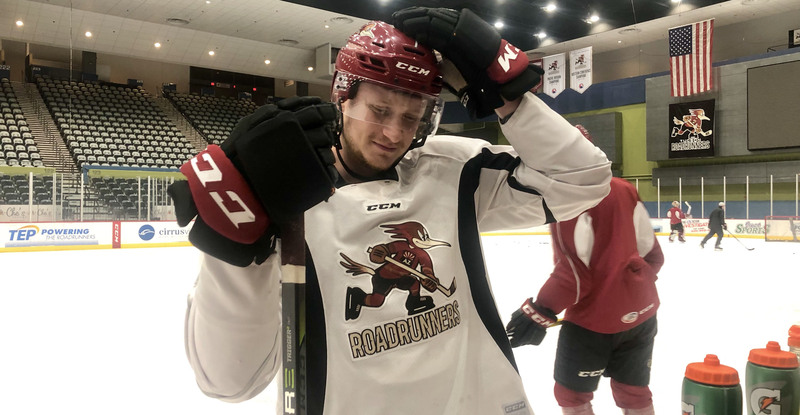 The two names to represent the Roadrunners on a national stage in Springfield, MA last weekend will not be in uniform tonight; forward Michael Bunting and defenseman Kyle Capobianco, both recalled, will soon be traveling to San Jose, California with the Arizona Coyotes for the NHL club’s coming three-game road trip. Forward Domenic Alberga was signed to his third PTO of the season yesterday. With Capobianco’s recall, forward Hudson Fasching, following tonight’s contest, will remain the only player to have appeared in every one of the team’s games this season. Entering the evening with 23 points (11G, 12A), he is the second-highest scorer among active players on the roster. We’re kind of over the midpoint of the season, so for us we’re kind of getting a reset, getting away from the rink a little bit to re-energize and refocus, so now it’s just about coming back and dialing in and focusing on this stretch down the road here and really getting into it. We’re excited to be back, you get into the grind of things and then you get away from it, then all you want to do is come back. I think everyone’s got a lot of energy right now, we’re moving with a lot of pace, and that’s important for us to get rolling here. They’re a transition team, so for us it’s about making sure we don’t turn the puck over and put ourselves in bad spots, they like to take advantage of every opportunity that you give them, so we’ll have to be smart with pucks tonight, make sure we’re smart at the blue-line, make sure we’re getting in deep and playing hard. I’ve been pretty happy with my game this year, I’ve been focused on a couple areas of my game that I really wanted to work on in terms of driving pucks, protecting pucks and holding on to it more and I feel like I’ve really been doing that. I’ve been happy with my production as well, I feel good about my game right now, so it’s about keeping that rolling. We need these points, those road trips are always long and grinding, and for us to get a few points at home here before that will be huge for us. Obviously playing well in your own rink is something you need to do if you want to be a winning team, a playoff team, so that’s something we’re definitely trying to focus on.